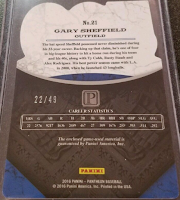 Here is a look at many of the Dodgers cards found in packs of 2016 Panini Pantheon Baseball. Go here for a complete checklist. 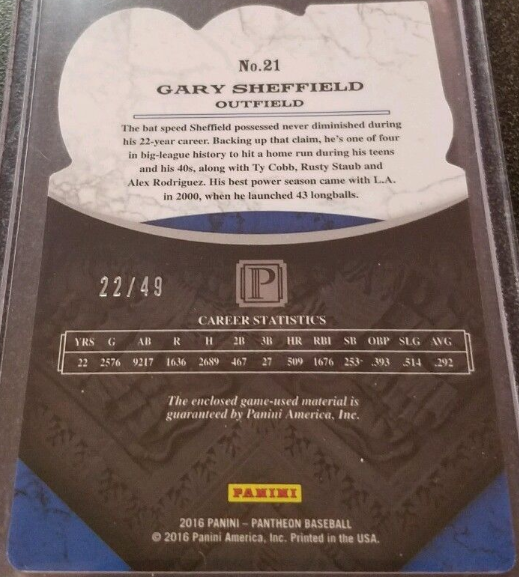 Unfortunately, Panini does not provide an accurate (in terns of card #'s) checklist to work with, so I've done my best to make a Dodgers checklist for collectors. Keep in mind that most of the card #'s below are inaccurate. 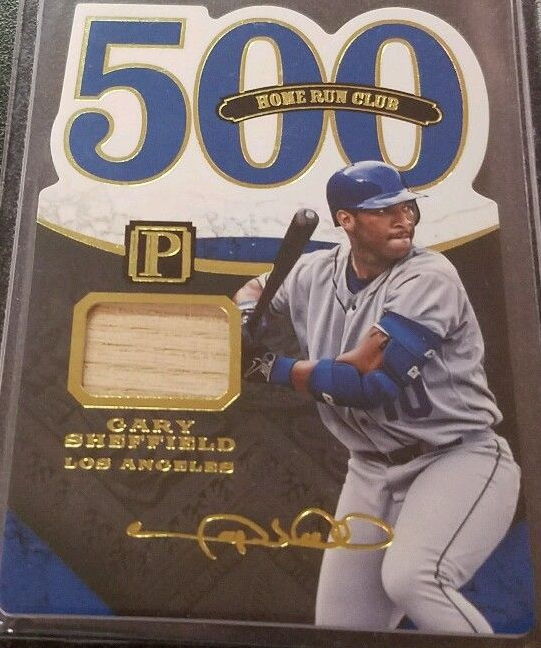 This is a new brand for Panini's Baseball products. 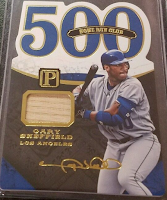 It features a box that consist of eight packs with a single card inside, and you are guaranteed that the one card has either an autograph, relic, or both. So, this is a set filled only with hits. As in the past, there are no team or MLB logos since it is only licensed by the players union and not the league. Clayton Kershaw made his way to the 2016 Winter Meetings in Maryland yesterday to help usher in a new era in on-field Baseball uniforms. As you may know, it was announced that Under Armour will be the game’s official uniform outfitter starting in 2020 - taking over for Majestic. 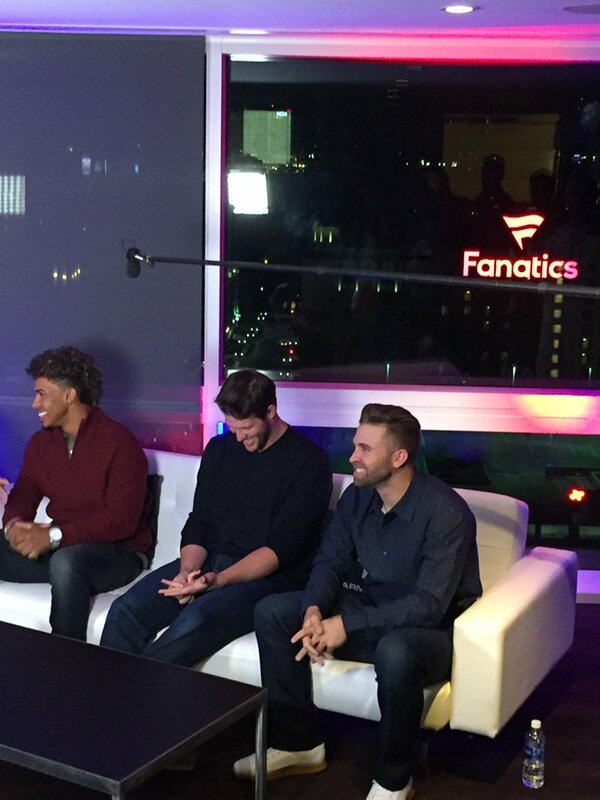 To help introduce the brand to the Baseball public was Kershaw, along with Francisco Lindor on his right and Brian Dozier on his left. You should definitely take a look at Paul's post at UniWatch. He shares some photoshopped pics that shows what the logo-creep will look like. It's a little unsettling (as the Baseball purest I often am), but I imagine most folks won't think anything of it. This Day in Dodgers History: In 1973 the Dodgers traded Claude Osteen to the Astros for Jim Wynn. In 2006 the Dodgers signed free agent pitcher Jason Schmidt. In 2007 signed free agent outfielder Andruw Jones. Wow! This is a bad day to sign free agents, eh? Happy Birthday, Tommy Brown & Dodgers broadcaster Joe Davis!